General Surgery residents Justin Doble, Julie Campbell, Katelin Mirkin, Melissa Linskey, Susie Sun, Cassie Sontag and Audrey Stokes are seen at the 2017 Resident Research Day event. The seven residents are pictured standing from left to right, wearing their ID badges around their necks and dress clothing, in a room filled with posters for presentations. The goal of our General Surgery Residency Program is to provide the highest level of training to develop leaders in the practice of clinical and academic surgery. The program provides the opportunity for residents to learn in-depth the fundamentals of basic science as they are applied to clinical surgery while also learning the surgical skills necessary to undertake the most complex and demanding surgical conditions. Our program provides outstanding experience in the preoperative, operative, and postoperative care of patients in all areas that constitute the essential components of general surgery as specified by the ACGME and Surgical Review Through rotations at Penn State Health Milton S. Hershey Medical Center, Penn State Children’s Hospital, Wellspan Surgical Specialists – Good Samaritan Hospital and UMPC Pinnacle Harrisburg, residents are exposed to the entire spectrum of general surgery from a community hospital setting to a large quaternary referral and Level I Trauma Center. The fully-accredited program is approved to graduate five chief residents in general surgery per year. The first two years of the program are designed to provide a core experience in the principle components of general surgery and the surgical subspecialities. After the second year, many of our residents choose to pursue two years of additional training in areas such as basic science research, surgical education, or healthcare delivery and outcomes research. Laboratory experience of two years is encouraged and available to those who wish to pursue an academic career. The third through fifth years of training are to provide an in-depth experience in trauma, acute care surgery, surgical oncology, endocrine surgery, minimally invasive surgery, vascular surgery, colon and rectal surgery and pediatric surgery. The entire process provides a broad-based and well-balanced experience in surgery that allows our graduates to be well-qualified to pursue advanced training in various fellowships as well as subsequent career paths in either academic or private practice setting. The educational component of our program is robust and offers each resident an extensive experience in didactic learning, surgical skills development and simulation training. In addition to weekly lectures by attendings, the program also utilizes weekly conferences, specialized small group sessions and one-on-one mentoring. Through the Simulation Center, residents have the opportunity to train on the latest in laparoscopic and clinical training simulators, to practice their surgical skills through biologic training sessions, and to develop their team skills while participating in Crisis Resource Management (CRM) clinical scenarios. Our Simulation Center is a Level I American College of Surgeons (ACS) Accredited Education Institute as well as Fundamentals of Laparoscopic Surgery (FLS) approved test site. In additions to the basic and clinical sciences, we have incorporated into our education curriculum several topics including ethics and residents as teachers. Up to five individuals are selected as categorical general surgery residents, and eight are selected for the non-designated preliminary track. Residents from other surgical specialties also participate in the PGY-1 year, including Otolaryngology – Head and Neck Surgery, Orthopaedic Surgery, Plastic Surgery, Neurosurgery and Urology. Three weeks of vacation are assigned throughout the year. In-house on-call responsibilities average every fourth to fifth night. There is a night-float rotation covering the core surgical disciplines. The first and second years of the General Surgery Residency are designed to provide the individual with the experience necessary to develop a foundation in the core components of general surgery and the surgery subspecialties. Our overall objective is to develop residents through in-depth experience in managing surgical patients in a variety of situations and disciplines while developing basic surgical technical skills. The first-year resident has primary responsibility for directing the pre- and postoperative care of patients in the inpatient and outpatient settings under the direct supervision of a senior resident and attending surgeon. These responsibilities include history and physical examinations, daily management of inpatient service and participation in approved level surgical presentations. The teaching of medical students assigned to the service is an important aspect of daily responsibilities for our residents. The second year builds on these experiences while introducing the responsibilities of surgical consultation. The core curriculum in general surgery is designed to provide residents with a strong knowledge base in the fundamentals of diagnosis and treatment of surgical diseases. The overall schedule is structured on SCORE (Surgical Council on Resident Education) and is on a two-year cycle. The curriculum is highly integrated with didactic sessions, case-based learning lectures, surgical techniques and skills sessions. Three hours of protected time every Thursday morning are devoted to education. Each Thursday morning generally consists of a one-hour lecture on a SCOPE-based topic. The subsequent two hours may then be spent in case-based learning, small group seminars, and simulation skills sessions. In July and August, there is a special Fundamentals of Surgery Intern Course designed to review basic clinical management scenarios and patient management problems. Throughout the year, there are also separate Intern Skills Sessions to allow the first-year residents to further develop and practice basic surgical techniques and procedures. In addition to division-specific conferences and the Thursday morning education conference, there are three mandatory conferences for the General Surgery Residency. Morbidity and Mortality Conference occurs every Wednesday afternoon at 5 p.m. Residents are responsible for presenting cases that are chosen for their educational and management learning points. The assigned resident is expected to develop a PowerPoint presentation and to review it with the responsible attending prior to the conference. Grand Rounds conferences with visiting professors occur every Thursday at 5 p.m. Finally, Journal Club takes place monthly during the academic year and is incorporated into the Thursday Education Conference. The Department of Surgery has a broad research program and all divisions maintain active basic research labs or clinical research labs. Being an academic institution, the expectation is that most, if not all, of our surgical residents will spend a two-year period immersed in basic science or clinical research. Prospective residents should expect to spend two years pursuing career development in research which helps to better prepare them for their future medical careers. Current and past residents have taken the opportunity to pursue advanced degrees during this time period, and the opportunity exists to complete a number of master’s degree programs through Penn State or Penn State World Campus. Residents have also participated in laboratories outside of the department, both within the Penn State College of Medicine and other institutions, including the National Institutes of Health (NIH), returning after their career development years to resume clinical training here in Hershey. While residents are encouraged to pursue external funding sources, limited support is available through the Department of Surgery for qualified individuals and projects. The possibility of pursuing an advanced degree in a number of areas within the Penn State system exists during the two years of career development between the second and third clinical years. The General Surgery Residency is structured to provide residents with graduated responsibilities in the primary components of general surgery over the five years of training. Each year is constructed to build on the experiences of the preceding level. In the third through fifth years, service leadership are stressed. Learn more about our hospital and health system here. UPMC Pinnacle Harrisburg is a 400-bed urban community hospital in the city of Harrisburg, Pennsylvania. It provides advanced medical and surgical care to its surrounding area. The Wellspan Surgical Specialists – Good Samaritan Hospital rotation is located in Lebanon, Pennsylvania, and is approximately 30 minutes from Hershey. This rotation provides a high-volume, general surgery experience that may include, but is not limited to, open abdominal surgery, laparoscopic and robotic operations, as well as both upper and lower endoscopy. While the experience will be highly operative with several days per week spent in the operating room, the residents will also attend outpatient clinic to evaluate patients both pre- and post-operatively. The mission of the Penn State College of Medicine Global Surgery initiative is to enhance access to safe, essential surgical care in impoverished areas across the globe. To educate future leaders in Global Surgery while promoting positive changes in accessing and providing essential surgical care. The central focus of the program is to address the burden of surgical disease in impoverished areas through research, innovation, and sustained collaboration with our host nation partners. Increase surgical capacity in low- and middle-income countries. Conduct novel research in low resource settings to identify the epidemiology of surgical diseases in impoverished areas and barriers to accessing safe surgical care. Provide mentorship in global surgery for residents, fellows, and medical students in order to prepare them for service in low-resource settings. Embody the core values of Penn State Health Milton S. Hershey Medical Center – Respect, Integrity, Teamwork and Excellence – in the practice of Global Surgery. Our general surgery residents have presented both podium and poster presentations at many conferences. They have also published in many journals and written book chapters. We are using ERAS (Electronic Residency Application Service) for recruitment and match. Three interview dates will be scheduled from November through January. The Friday evening prior to the interview, there is a social gathering that gives the applicants the opportunity to meet the residents in a relaxed atmosphere. The interviews occur the next day and consist of three formal interviews, two with faculty members and one with a senior-level resident. Between interviews, the applicant has the opportunity to interact with residents and faculty, as well as tour the hospital. The interview day concludes with lunch with the faculty and residents. 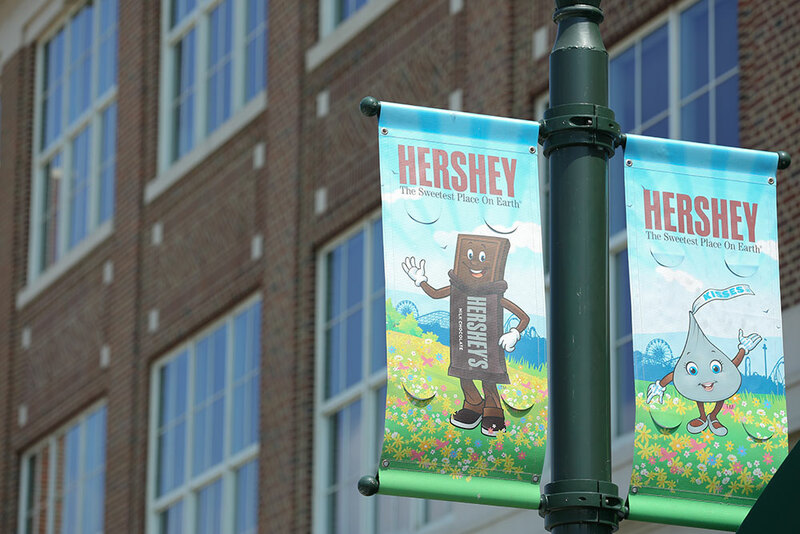 Afterward, the candidates are free to depart and hopefully take time to explore all that there is to do in the Hershey area. There are several services on which residents rotate during the five clinical years. The Vascular Service has five attending surgeons. There is a Vascular Surgery Residency. The Surgical Oncology Service has seven attendings. The Minimally Invasive/Bariatric Surgery Service has four attendings. More advanced laparoscopic procedures are performed on this service, and it supports a Minimally Invasive and Bariatric Surgery Fellowship. The Transplant Service has three faculty members. The Trauma, Acute Care and Critical Care Surgery Service has five attendings. They accept all trauma and acute care surgical patients. They also support a Trauma and Acute Care Surgery Fellowship and a Surgical Critical Care Fellowship. The Thoracic Surgery Service has three attendings. They support a Thoracic Surgery Fellowship. The Pediatric Surgery Service has eight attendings. This is a busy, active pediatric service serving all of mid-state Pennsylvania. Our General Surgery/Endocrine Service has three attendings. Our Colon and Rectal Surgery Service has five attendings. There is a Colon and Rectal Surgery Residency.